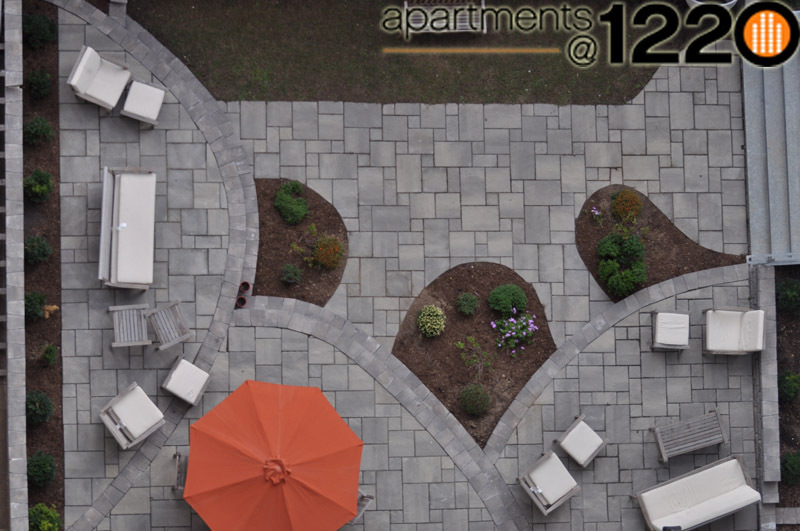 This beautifully landscaped terrace is complete with lounge chairs, eating tables and park benches and provides the perfect setting to relax, refresh and recharge or work wirelessly while enjoying the serenity of lush greenery. 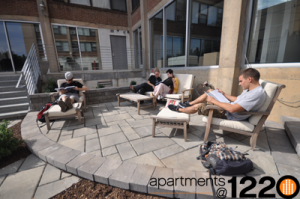 Feel free to use the courtyard and landscaped terrace area at your convenience 24 hours a day, 7 days a week. 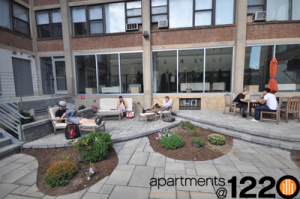 It is open to all Apartments@1220 residents.